In September of 2004 I made a 5-day trip by myself over Labour Day weekend up the James Bay Road and back. 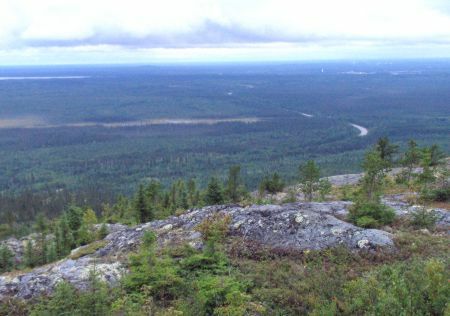 I wanted to travel the Trans-Taiga Road as well, but I ended up having only enough time to travel about 100 km of it. I spent a good part of time taking lots of photos of the James Bay Road and various points of interest, as well as wildflowers. Unfortunately, it was cloudy or raining most of the trip, except the very last day, which I had to spend driving home! Oh well. Checkpoint at km 6. 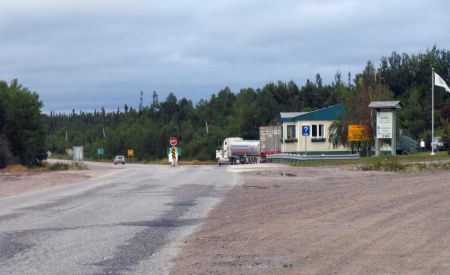 Due to the remoteness of this road, the Municipality of James Bay requires all vehicles to check in and out. 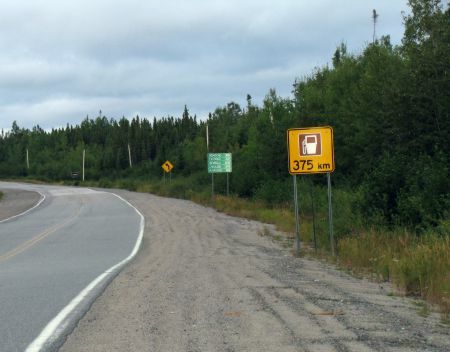 No gas or diesel for 375 km (233 miles)!! Nor much of anything else for that matter. 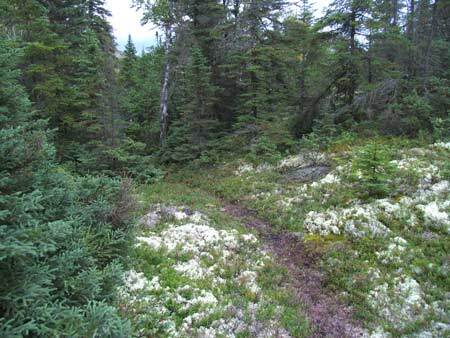 Except mile upon mile of forest, sky, and remote northern wildness. I stopped to go for a hike up Mont Laurier at km 10. I didn't intend to go all the way to the top, as I started at 7pm. But I ended up doing so anyway! Here's a photo of the trail about 2/3 of the way up. Here's a view from the top. Spectacular! That's the James Bay Road in the distance, going south towards Matagami (which is at km 0 of the James Bay Road). At the top I tried to head down along the other trail that comes up from the east side. However, after searching around for a definitive sign of a trail I gave up and went back down the same way I came up. The falling night chased me as I half-ran down the mountain. If it had been daylight I would've tried harder to determine the other way down. 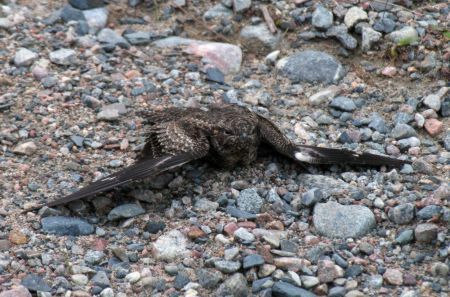 At the bottom of the trail I came upon a wounded Nighthawk. I think it had hit one of the wires in the area as one of its wings was hurt on the leading edge. Unfortunately there wasn't a thing I could do for it, so I left it for Nature to deal with. 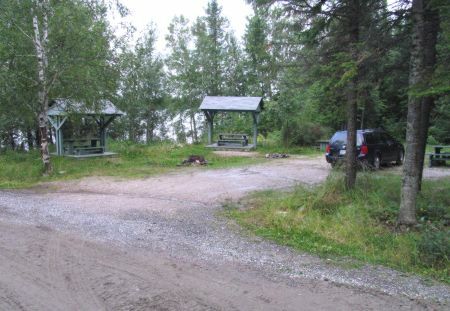 I camped that night at the Olga Lake campsite (km 48). Nobody else around. This photo was taken the next morning, as I arrived there well after dark. And up here it is really dark at night! And very quiet!